Mosshead Primary School is situated in Bearsden to the north west of Glasgow. We are very much a part of the local community and pupils, staff, parents, carers, family and friends have an important role to play in the life of the school. In partnership with parents and the school community we encourage positive attitudes in our pupils and we foster values such as respect, fairness, honesty and caring. Our standards of academic attainment are high and we celebrate children’s achievements both in and out of school. We offer a well-designed curriculum and a superb range of after-school activities. 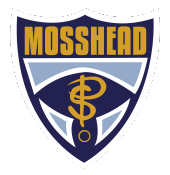 Our aim is to equip Mosshead pupils with the skills, knowledge and attributes to become responsible members of society. I hope you will enjoy getting to know us better through browsing these pages, but please feel free to get in touch if you need more information.